Group B Strep has been one of my biggest frustrations. The medical community treats it as if it is no big deal. Typically, it doesn’t cause an adult any detriment, and if you are pregnant and test positive for GBS they simply pump you full of antibiotics through an IV when you deliver your baby. No problem…. Wait? What if I don’t want antibiotics? Now folks, I believe antibiotics can be very useful. However, I’m not partial to using them for prevention. I’d prefer to keep my gut flora as strong as possible and also allow my baby to be born with good flora. 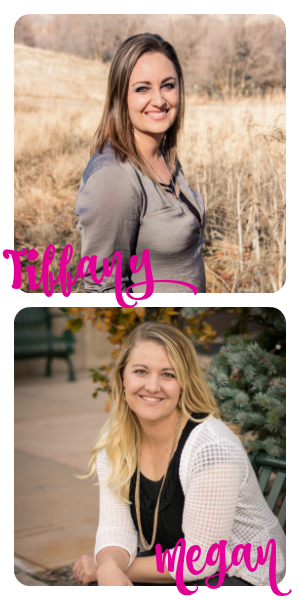 With both of my daughters I knew no different. I tested positive both times. It appeared to me that Group B Strep was just something I had. And there wasn’t really anything to be done about it. Then my world changed. I learned that maybe there could be another option. 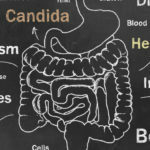 I killed the Candida problem that had plagued me for years. 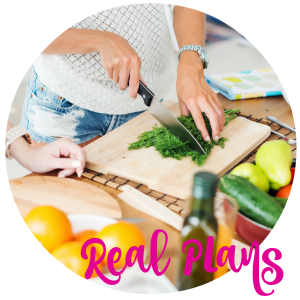 I wanted so badly to be able to build good gut flora and keep it gone. Which also means avoiding antibiotics. Unfortunately, antibiotics don’t just kill bad bacteria, they kill the beneficial bacteria that our bodies need to function as well. 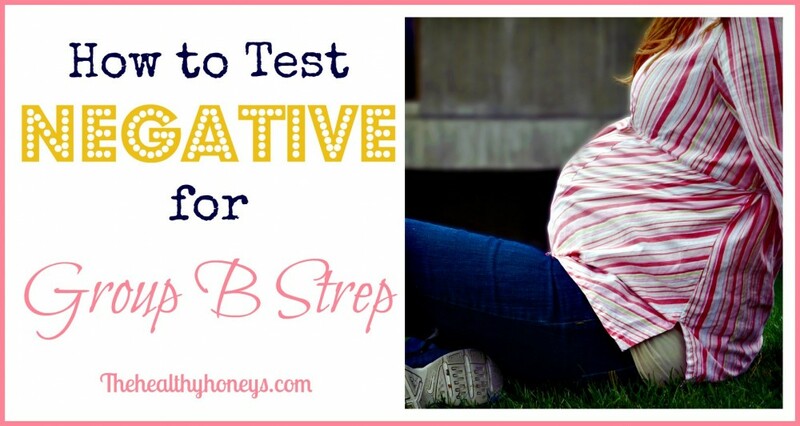 I became pregnant with my third child and just crossed my fingers that there would be no sign of Group B Strep. I hoped that because the Candida was gone that I had also eliminated the GBS in that same process. First, I made the choice to skip out on the antibiotics. I did tell my doctor and she said it was fine because I wasn’t noticing any symptoms from the Group B Strep. Then I set up a regimen to eliminate Group B Strep, making it so I would test negative for GBS. The following information outlines the routine. Some days I would just put 1 -2 Tbs. of apple cider vinegar in a shot glass and get it over with. Other days I add it to a full glass of water and mix in some raw honey and apple juice. It goes down pretty easy that way. I use this kind. ACV helps the body maintain balance, particularly pH balance. When you have a balanced pH you are less likely to encounter infection. Apple cider vinegar is also great for detoxification of the body. Generally, I add the cranberry juice to a glass of water. I never measure but it is about 2 Tbs. (I buy this kind). I make sure to have at least one glass per day. Cranberry is your key to urinary tract health. Since I knew that the Group B Strep had populated my urinary tract and was in my urine, I knew that cranberry juice would help cleanse my system. I took 1 garlic supplements each morning and 1 more at night. If I could add garlic to any of my meals I would add it, but would make sure to either add it to the meal when cooking was complete. I used this one. 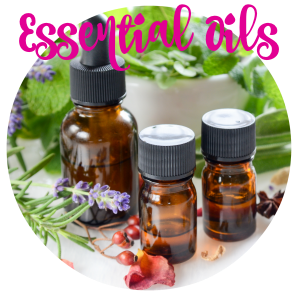 You can also use a little trick that is more commonly used for yeast infections. I wrote about it here. Garlic is the miracle healing herb. It kills bacteria, viruses, fungus, and yeast. In this case we just need it for the bacteria but hey if it kills a few other bad guys along the way that’s great! You can take one 1000 mg vitamin C supplement. Personally, I make my own by grating, and drying out lemon or orange peel, and then adding it to juices or smoothies. 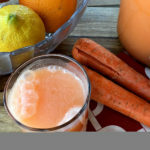 It is commonly known that vitamin C boosts immune function. Find vitamin C here. I took the recommended dose of fermented cod liver oil once a day. Find it here. FCLO contains vitamins A, D, and K. Those vitamins also help boost immune function. I continued to take my prenatal vitamins regularly. I use this brand. I took 1-2 Tbs. of food grade diatomaceous earth (like this) in a smoothie or juice every day. I also eat a Brazil nut or take a selenium supplement when I take DE. I do this because diatomaceous earth can be high in heavy metals and the selenium helps to keep that neutralized. Bad bacteria is negatively charged, and DE is positively charged. So, diatomaceous earth attracts bad bacteria to it and then because it is super abrasive to things like bacteria and bugs it scrapes it up and kills it. You can then pass the bacteria and begin to heal your body from it. I share more about diatomaceous earth here. I took 2 probiotics morning and night every day. Find the kind I like here. Probiotics help eliminate GBS by replacing bad back bacteria with good bacteria. I would either have a bowl of yogurt or a smoothie almost every day. I also make my own yogurt. Here is how to do it. Yogurt is a probiotic powerhouse. So, by eating yogurt you are crowding out the bad bacteria with the good. Perhaps the yogurt isn’t necessary, but it is just another way to push the probiotics into your gut and to crowd out the group B strep. If you aren’t use to taking any of these types of supplements you may have a little trouble with loose bowel movements. Group B Strep really can be overcome. You don’t have to succumb to an IV during labor, and you don’t have to worry about the threat of any problems that GBS could cause to your infant. Is this going to be one hundred percent fool-proof? Perhaps not, but it certainly worked for me. Another great way to boost the good bacteria “down there” is to insert a probiotic vaginally at night. It gets the good bacteria right where it needs to be! It is not hype at all, and can be very serious. To think that medical professionals benefit somehow from “scaring expectant mothers” is silly. I lost my 4th son to GBS. It is not hype. It is also not something to fear, because our circumstances were somewhat odd to begin with. I had an emergency appendectomy when I was 13 weeks with him. At the ER, the doc did a vag check to make sure I wasn’t miscarrying, and we feel that he probably introduced the bacteria then, as I had never tested positive before that. It was not a healthy pregnancy, and I was not doing all the good things listed in the article above. The NICU doc who treated him when we transferred from home to the hospital said that it seems likely he had been infected while inside, which is an incredibly rare occurrence. That being said, I have to say that following the advice given in the article is a really good start, but caution and wisdom should be exercised if a positive result is given. Also keep in mind that the bacteria have a life cycle of 4-6 weeks. So, it is absolutely possible that you can test positive at 35 weeks, then negative a week or so later. Or vice versa. Thank you for your comment. My pediatrician was a little confused when he was told that I had tested both positive and negative. So after not having antibiotics during delivery he had us stay at the hospital a little longer to monitor my baby. I totally agree that caution is good idea. I’m so sorry for your lose. Such good information! Sending the link to my 2 pregnant daughters. Ah cod liver oil is used to induce labour. Be careful to take advise from non medical professionals. It all sounds sweet, but there is a good reason you see a doctor or a midwife for prenatal care. I think you may be confusing cod liver oil with castor oil. Cod liver oil is a great source of omega 3’s and DHEA, both important for baby development. Regardless, it is always a good idea to inform your doctor of the supplements you are taking. Yes, Cod liver oil is very beneficial to pregnant mommas and their unborn babies! Castor oil on the other hand has been known to stimulate labor. My midwife has me take cod liver throughout my pregnancy and never had any problems with early labor. In Europe standard delivery procedure when I had my last pregnancy a few years back was periodic douching with Hibiclens to prevent transmission during labor instead of introducing IV antibiotics. Since I live in the states I also used a lot of the above suggestions along with colloidal silver vaginally the night before my tests. I tested negative! This is great info. i tested positive with both pregnancy’s and had the iv antibiotics and i believe this was the cause of both children and myself getting thrush . Which took months to go away was very painful and caused me to stop breastfeeding my first at 5 months. So thank you for sharing if i have another child i would try this! 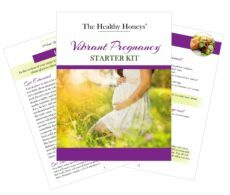 I have heard that taking apple cider vinegar while pregnant is not good, I am now 9 weeks pregnant and am unsure if I should stop taking my daily dose of acv. Can someone please clarify if it’s ok to take or not? I have never heard that before. I have heard of lots of women using it for heartburn during pregnancy, and obviously I used it without complication during my pregnancy. That being said, I’m not a medical professional. Check with your doctor, but I can’t think of any reason that it would be harmful. What you aren’t understanding is that this list is a way to kill the GBS. It isn’t a way to trick the test. It is a cure. Not only that but my OB knew what I was doing. I wasn’t trying to “trick” anyone or cheat the system. Also, a weakness in the body is just that, a weakness. Meaning that any number of things can attack the body, whether it is candida, or GBS, Strep throat or the common cold… it doesn’t matter. Putting a focus on healthy diet, probiotics, and foods like garlic will help you strengthen your immunity and overcome ailments. I hope you reply quickly as I am almost 7 months pregnant. My 2nd daughter died from GBS in Jan 2013. I know many babies that have died from GBS in the past few years. It is very serious and for one of the commenters above to suggest that it being fatal is all hype is ludicrous! I’m all for the probiotics and doing anything else possible to keep the colonization as low as possible, but if you test positive, you really need the antibiotics. There is a reason that’s the recommendation! I’d much rather deal with thrush and have my baby alive than have her die. I did not receive antibiotics. The pediatrician did have us stay in the hospital a day longer to monitor my baby. However, GBS was not present and was not a problem for my baby. I couldn’t tell you about other women. I’m sure there are stories both ways. I was just wondering if you could clarify when to begin taking these supplements. 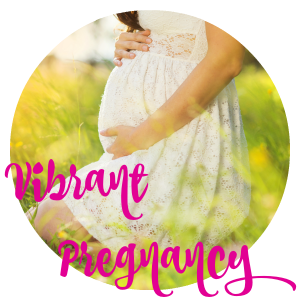 I tested positive with my last pregnancy and would like to avoid it this time. 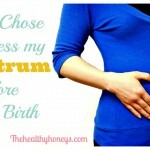 Would you start in the 3rd trimester or earlier ? Thanks so much for the informative post. I can’t wait to try this! I would start at least a month before they test you for GBS, some doctors may do this at slightly different times, so ask when to expect that. Then I would continue until you give birth. You wouldn’t want to do this just for the test, you want to make sure that GBS is not present at delivery as well. Wow! It sounds like you pregnancies certainly had some challenges. I’m glad you have the blessing of those children and that you now have knowledge to help repair some of the damage caused during those pregnancies. I wish you the best of luck! What do you think about sexual activity during this time? Tested GBS + a few months before becoming pregnant but neg at 35 weeks. Glad to avoid antibiotics but still trying to follow good probiotic routine to increase chance that I remain healthy for delivery. I don’t see a problem with sexual activity. I suppose it could introduce bacteria, but I wouldn’t think it would change your outcome if you follow the protocol.